Christopher Healy: Chronicler of Heroic Shenanigans | The Hero’s Guide to Being an Outlaw comes out in May! 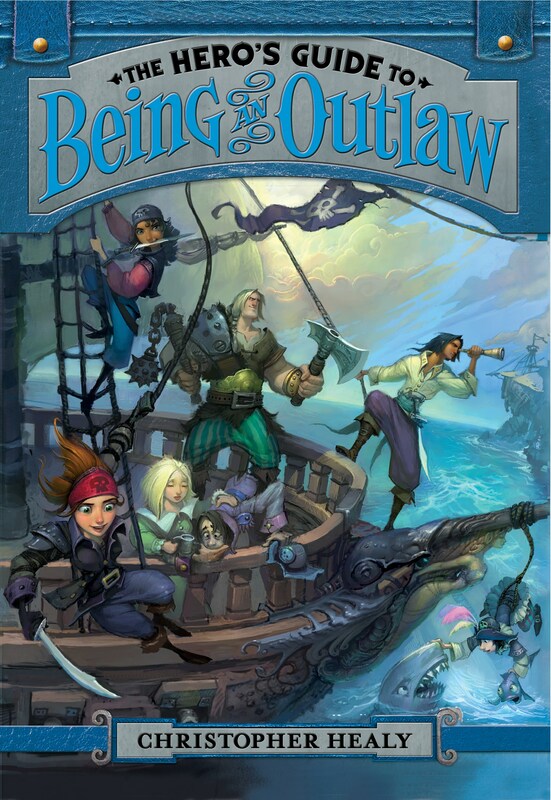 The Hero’s Guide to Being an Outlaw comes out in May! The climactic third book in the Hero’s Guide saga hits bookstores in May 2014. Here’s a sneak peek at the cover! I love this series so far. Can’t wait to read the third once it comes out. Great stories and laugh out loud funny. Thanks. But you should definitely wait to read the third one until it comes out. Reading it before it comes out would require some kind of magic. I am a huge fan of the series so far and had some thoughts for the third instalment. Me and my good friend thought that a new fairy tail character should come in and we think it should be belle from beauty and the beast.she would enter Avondelle and Meet ruffian the blue and they would fall in love. She has her heart broken by the beast and find her true love in ruffian. Oh I’m so excited! I’ve pre-ordered them for the library I work at. These are delightful–it’s like reading the next great Disney/Pixar movie 🙂 Thanks for writing! Thank you! I’m delighted that you find them so delightful! I LOVE YOUR BOOKS SO MUCH!! They are SOOOO funny! I’m almost finished with the second one, and I’m already asking my mom to pre-order the third! I’m so excited! My favorite character is either Lila or Ella. How many books do you think will be in this series? Have you written or are going to write any other series? Thank you SOOO much for the entertaining books and happy writing!!! I would recommend this series to anyone! P.S: Just finished the second book!! P.P.S: I made a 100 on the AR test! Thanks, Jasmine! The Hero’s Guide to Being an Outlaw (which comes out in a mere 5 days!) is the last Hero’s Guide book for now, but I’m sure it won’t be the last you see of these characters. In the meantime, I hope you like my new non-Hero’s Guide books too! I just left a comment in your “about me” page saying that I can’t wait to read the third book, and now I’ve realized it has already been published! Thank you so much for writing! It’s wonderful just to know that those beautiful Portuguese-language copies are being read. I don’t know what the Brazilian publication schedule is, but I hope you don’t have too much longer to wait. Thanks again! The books in Portuguese are really beautiful. Hooray! You are officially my biggest fan in Brazil. Thanks!